Recognized as a leader for over 40 years, Rok is well known in the commercial real estate community for our innovative and entrepreneurial approach to acquisitions and development combined with recognizing the value of long-term appreciation and preservation. Outstanding market insights coupled with an aggressive acquisitions strategies have enabled us to create an impressive track record of astute investments, which are based upon recognizing rare opportunities and moving swiftly to take advantage of them. Knowledgeable insights are critical, and once a potential property is located, extensive due diligence is conducted to make certain a proper plan of action is created to reposition the property and ensure that the highest possible return is achieved. Private equity is used to fund most of our property purchases and it is our aim to continuously provide secure investments with strong cash flow and appreciation. Today’s high-stakes real estate environment provides significant opportunities that are not necessarily readily recognizable and that may be transient, making it essential to work with a firm that recognizes opportunities and exploits them before they disappear. Rok seeks to build a diversified assortment of properties and assets in strategic locations across the United States. The company invests in properties that generate income and yield appropriate risk-adjusted returns with correspondingly low volatility, adequate liquidity, and low correlation to broad market indices. We are guided by a disciplined investment philosophy and process. Our goal is to source, evaluate, and invest in select income-generating multifamily and commercial real estate properties that are overlooked by less experienced and less opportunistic investors, or that are too large and complex for investors with insufficient resources and infrastructure. We are also engaged in ground-up development, including a residential apartment complex in Boca Raton, as well as the redevelopment of distressed properties or select historic landmark properties. We utilize advanced risk management techniques and portfolio modeling capabilities to professionally underwrite its acquisitions. We make investments that capitalize on market inefficiencies by opportunistically acquiring undervalued property and/or distressed loans; we seek to maximize recoveries by utilizing long-standing banking, institutional, and governmental relationships. Capital preservation and risk management are the primary objectives of the management team. We are vertically integrated and have the extensive resources and infrastructure required to source, analyze, value, purchase, service, manage and dispose of real estate properties and assets, or retain acquisitions when warranted. We provide the potential for value-added returns based on strong, disciplined real estate management, leasing, and marketing. Our team has unsurpassed expertise in creating and implementing a management approach that will successfully invigorate the income streams and value of individual portfolio investments. The management plan is designed prior to completion of an acquisition so that it can be immediately executed upon closing. Depending on the location and property type, management may be delegated to a third-party, handled directly, or kept in place through an arrangement with the existing staff. Due to the critical nature of management in achieving value-added returns, we maintain tight supervision over every aspect of property management and operations. We are seeking real estate investments located throughout the United States. Specifically, we are pursuing acquisitions in the Southeast, West, and Southwest and in select markets located in the Midwest and Northeast. We are seeking to acquire income-producing commercial real estate properties. We look for well located assets in high-barrier-to-entry locations. As a well-capitalized private company, with many years of experience and a strong track record for closing the most complex deals, we have the ability to underwrite the most sophisticated transactions and move quickly on them. Investments are selected based on asset class, loan analysis, diversity and correlations. Risk Assessment: A stress test of individual properties and/or assets based on simulation analysis involving market scenarios, market absorption, credit spreads, interest rates, etc. On-going Monitoring: Continuous evaluation of properties and/or assets in terms of risk exposures, investment strategies, and scenario analysis in the context of the current market performance versus observed market conditions. Exit Scenario Evaluation: On-going evaluation of all possible options including sale, refinance, or other strategies, taking into account timing, local and national market factors, asset class performance, and liquidity trends. We seek to invest in real property and real estate loans. Proof of funds and references are available upon request. Reviews of the local economy and demographics, neighborhood economics and trends, qualitative and quantitative analyses of market competition, area rates, vacancies and market position. Together they parlayed the business into a real estate empire centered on the core of the city.The Rok organization set the trend for modernization while maintaining a property’s unique character and historical charm. They also pioneered the practice of subdividing commercial properties into small retail spaces, despite predictions the idea would fail. The Rok mission is to maintain the highest standard of quality in every area of operation and to have an outstanding team of skilled, experienced and creative professionals, leading to sophisticated operational procedures that result in consistent growth and success. We are a private, well-capitalized real estate investment group based in downtown Miami, Florida. With over 40 years of experience, we have been involved with all facets of real estate property ownership, including the acquisition, development and management of properties across many different product types. Our robust and diversified portfolio includes a range of properties, including commercial and retail space, institutional-quality multi-family properties, storage and warehouse facilities, historic buildings, and vacant land under development.In addition to building our current real estate portfolio, we are aggressively pursuing acquisition opportunities of both notes and mortgages as well as fee simple transactions. We have the ability to underwrite the most sophisticated and complex transactions and to move quickly to acquire them. Sergio Rok has over 40 years of experience as a successful entrepreneur and investor in the real estate and banking sectors. 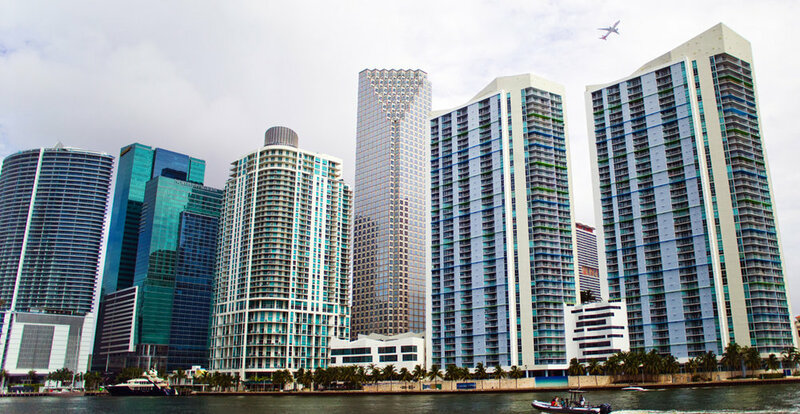 As a longtime investor in mixed-use, commercial and residential property throughout South Florida, Mr. Rok has been involved with the continuous redevelopment of the downtown Miami area and the repositioning of commercial properties throughout the region. Mr. Rok served on the board and audit, loans, and special assets and compensation committees of Transatlantic Bank from 1986 through 2006. In 2006, he oversaw the sale of Transatlantic Bank to Banco Sabadell, Spain’s fourth largest bank. He is experienced in all phases of ownership and development, including acquisition, financing, planning, permitting, design, construction, lease up, property management and disposition. He is a founding board member of the Downtown Miami Partnership, was a member of the board of the Miami Downtown Development Authority for 19 years, and has held a board position on a public REIT. Jared Rok is currently in charge of the day to day management of Rok-owned real estate properties. He is also involved in the investment strategy and acquisition activity for the Rok organization. He attended Florida International University where he earned a Bachelor’s degree in Real estate. He is currently in the process of receiving his CCIM certification as well as his Florida real estate license. Bryan Morjain has been managing sophisticated real estate transactions for a decade and is experienced in every phase of property acquisition, financing, management and brokerage. Mr. Morjain has been actively involved in the real estate since the early 2000s. During that time he has participated in the acquisition, financing,leasing, brokerage, and management of numerous complex real estate transactions. He has been involved in the day to day management of Rok-owned real estate since 2004. He attended the University of Maryland, University of Autonoma Barcelona, and earned a Bachelor’s degree in Real Estate and Finance from Florida International University. Bryan has been licensed as a Florida Real Estate and Mortgage Broker since 2006 and operates a brokerage company with over 50 licensed real estate sales and broker associates. Jason Morjain worked extensively with commercial real estate acquisitions and asset management before joining the team. Jason Morjain joined Rok Acquisitions in 2012 as assist with sourcing and managing new investment opportunities. Prior to his work with Rok, he worked with Beacon Investment Properties . During his 5 year tenure, he became the Acquisitions Manager where he spearheaded the purchase of more than 3,000,000 SF of office buildings across the country. He then took over as the asset manager of all Florida properties in Beacon’s portfolio. Prior to his work with Beacon Investment Properties, he was a mortgage,broker with City First Mortgage (2006) and an assistant property manager for Rok Enterprises (2004, 2005). Mr. Morjain holds a Bachelor of Science degree in finance from the University of Maryland. He also holds a Florida real estate license and a Florida Mortgage Broker License. Michael Sperling has overseen significant commercial development projects throughout important U.S. urban and suburban metro areas. Mr. Sperling is involved in the investment strategy and acquisition activity for the Rok organization. He is experienced in both the purchase of performing and non performing loans, including the due diligence, financing, structure and legal components. He began his real estate career in the acquisition and finance division of one of the largest residential condominium developers in the United States. Prior to Rok, he worked with a New York City developer overseeing the company’s ground-up and redevelopment projects ranging in size from 50,000 – 120,000 square feet. Mr. Sperling earned a degree in Finance and Marketing from the Robert H. Smith School of Business at the University of Maryland and a Masters in Real Estate Development from Columbia University. Marcos Morjain is the true definition of an entrepreneur. His career includes (i) the founding of a staple retail jewelry store in downtown Miami known as Ely-M Jewlery; (ii) creation of an empire in the yachting industry by owning and operating Reel Deal Yachts, Just Yacht Rentals and Miami Waterfront Investments for over 30 years. These companies have sold several thousand yachts through the distribution of twelve boat franchises, thus making him one of the largest yacht dealerships in the world. To date, Marcos has delivered yachts to several celebrities, Dignitaries, Presidents and Vice Presidents of the world and has earned their trust in confidence; (iii) Mr. Morjain has been involved in commercial real estate, both domestically and internationally, from owning and developing properties such as the Bimini Big Game (North Bimini, Bahamas) to the repositioning of what’s known today as the Fontainebleau Marina in Miami Beach the home of the Miami Yacht Show. He also owns multiple commercial warehouses throughout South Florida and across the United States. Robert Moskovitz has held a lead role in providing legal guidance regarding banking, finance, and real estate since the early 2000s. 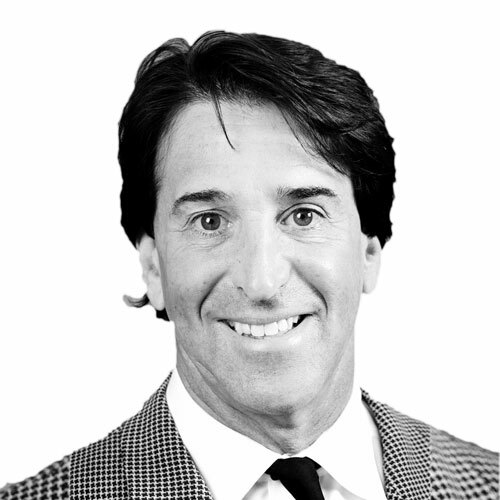 Mr. Moskovitz has worked in the banking and real estate fields for the past 20 years. He served as general counsel and senior vice president of Transatlantic Bank from 1998 to 2007 and was head of its legal department, overseeing all local closing and regulatory matters for the bank. He also served on the bank’s audit, special asset, IT, loan, and SBA committees. Since 2007, he has been directly responsible for legal matters, including leasing and real estate transactions, for Rok Acquisitions. Mr. Moskovitz holds a degree in Finance from the University of Florida and a degree in Law from Nova Southeastern University.